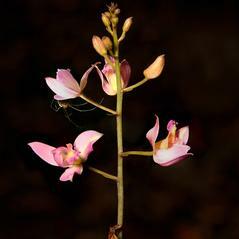 Bletia is a genus of thirty-four sympodial terrestrial, lithophyte, or semi-aquatic orchids. 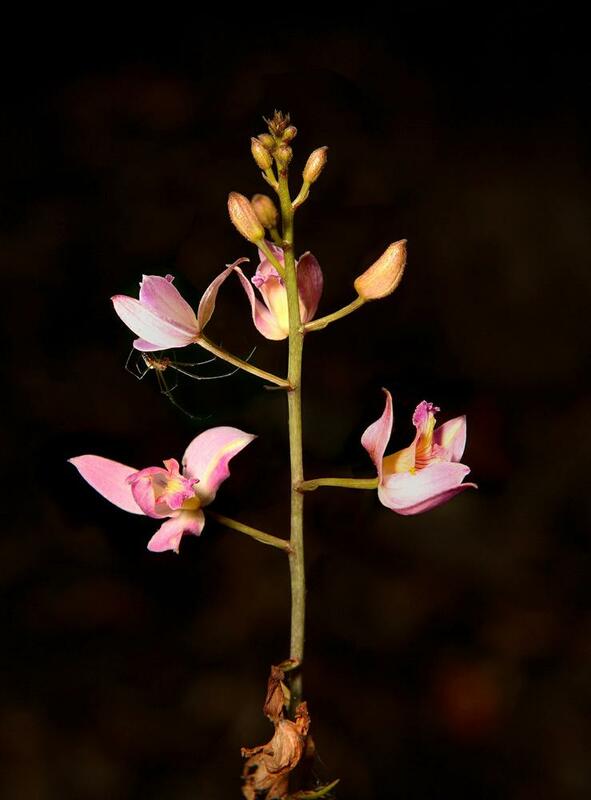 These orchids are usually found in the New World and range from Florida in the southeastern United States, Mexico to northwestern Argentina and Bolivia, and grow at low to upper elevations in mixed forests, prairies and grassy hillsides. 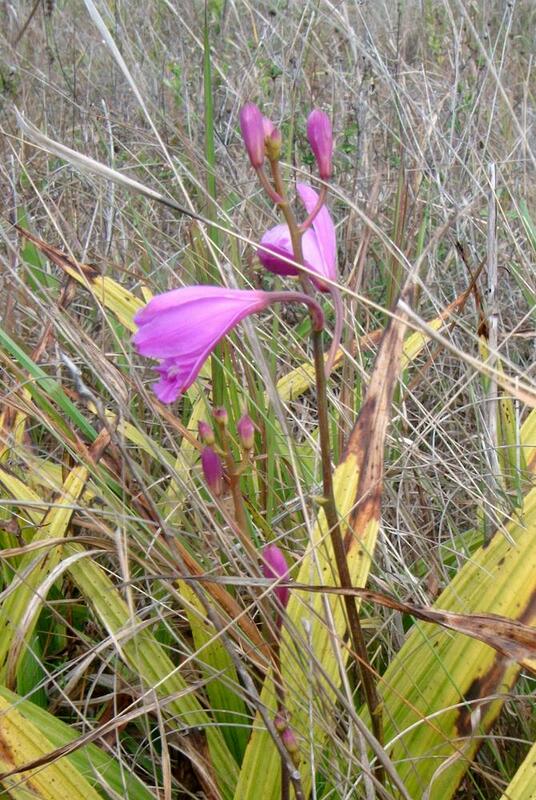 These orchids have small corms or pseudobulbs, with thin, pleated leaves that grow up to 1 m in length. 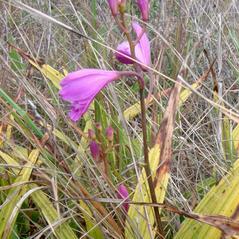 The inflorescence displays several resupinate flowers in shades of pink to purple to rarely white.